The Sacramento area housing market is heating up. This is good news for sellers but buyers need to consider their home buying options now to avoid being priced out of the market. With more Bay Area Home Buyers moving into the more affordable communities, it’s time to get off the fence and actively explore your options today. No! Don’t wait! While there are conditions which makes it appealing for sellers to enter the market, buyers have good reasons to buy as well. It’s really more of a balanced market right now. The natural reaction of sellers to the rising home values is to list their homes for sale. As we get into the Summer Selling Season in Sacramento, we can expect to see inventories rise as well. Buyers have a real incentive to purchase a new property right now also. Interest rates have fallen since the beginning of 2016. As of April 8, 2016, interest rates are down 8 basis points over last week to a national average of 3.38%. The FED (Federal Reserve System) has indicated over the few sessions a readiness to raise interest rates, it’s only a matter of time before these rates start to creep up and affect home mortgage interest rates. We have a window of time to lock in some low interest rates and leverage the buying power they provide. Home ownership is an essential part of a solid financial plan. Not only do you own and invest in an appreciating asset, but home mortgage interest is one of the last tax deductions available to reduce income tax. Home mortgage and the points (fees) used to finance the property, are fully tax deductible. * Each dollar you spend on your mortgage payment is worth far more than a rental dollar. That payment represents a decrease in tax obligation and an increase in assets. 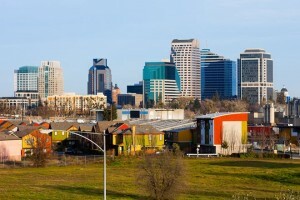 The Sacramento real estate market offers great opportunities for home buyers and investors. The solid record of increasing home values plus the historically low interest rates combine to offer buyers a nice package of benefits. If you‘ve been sitting on the fence, now is the time to get out there and find the right property for you and your financial goals. *This post is not intended to provide tax advice. Please speak with your tax professional for all tax advice and information about your personal situation.